Here is a sneak peak at our upcoming Spring/Summer 09 season. 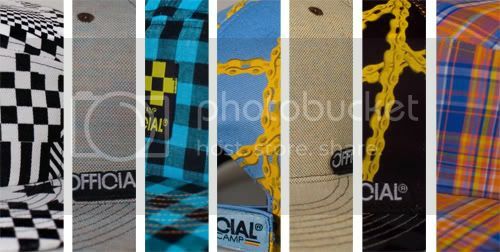 These images suggest plenty of range to please us all from nicely selected fabrics, 3D bike chain print, basics in all the silhouettes such as the 5 panel camper, Neu Mesh snap-back and Official’s coveted Incoronare fitted silhouette. Product and lookbook images will be trickling as the drop dates near.